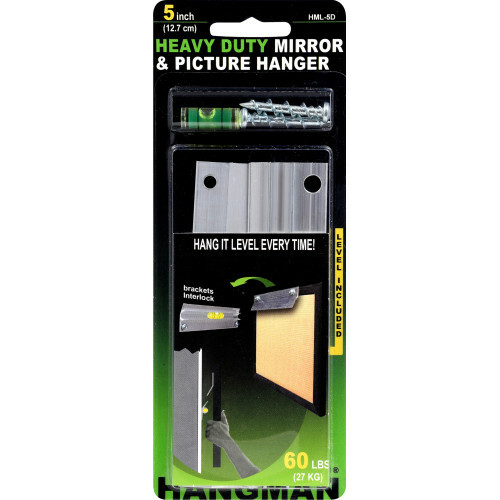 Hillman easy to install Hangman Hanging System is for hanging heavy duty mirrors and pictures. Designed with anti-corrode technology this interior and exterior hanging system will hold up to 50lbs, 100lbs or 200lbs depending on what your hanging needs are. This French Cleat (a methodology of securing objects to a wall at a 30-45 degree slope without bearing the full weight of that item) styled hanging system sits flush against walls. 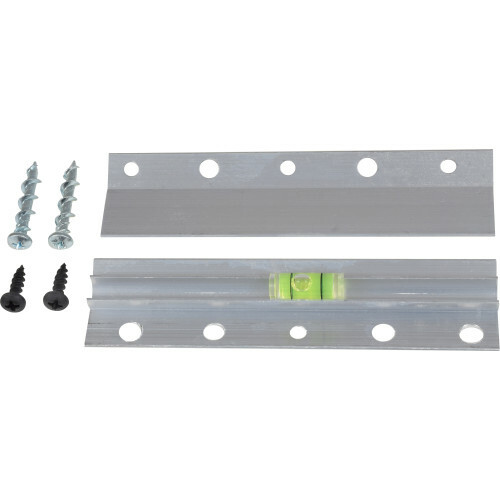 This kit includes a level, Wall-Dog screws, anchors and packaged instructions. Hanging decor could never be easier. 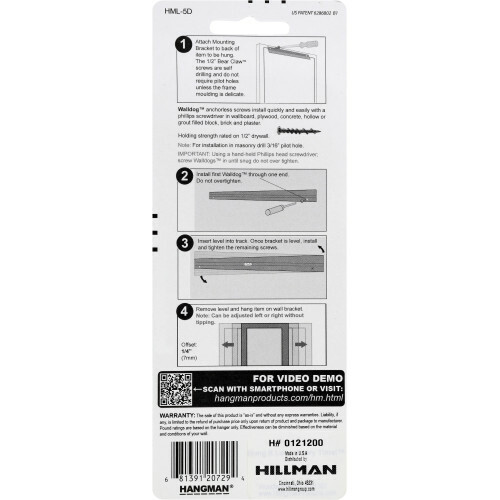 Picture hanging tip: Drill pilot holes first. Offset by 1/4", then use Wall-Dog screws, ensuring that you do not over-tighten.